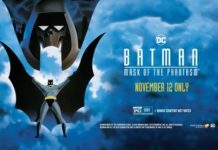 “The Cat and the Claw” was a two-part episode of BATMAN: THE ANIMATED SERIES airing on September 5th and 12th, 1992 respectively. 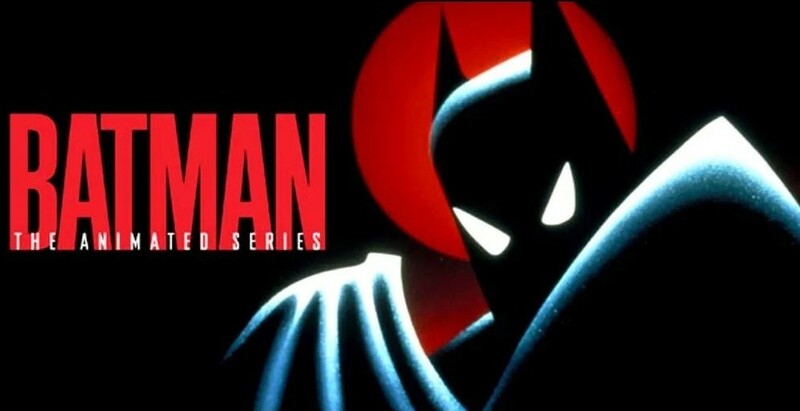 Many people think that “On Leather Wings” was the first episode of BATMAN: THE ANIMATED SERIES, that is not the case. 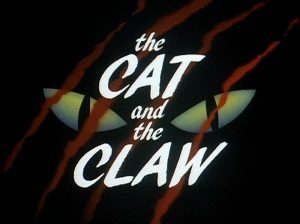 It was actually the first episode to air in primetime (September 6, 1992), while “The Cat and the Claw” aired the day before as part of Fox’s Saturday morning television lineup. 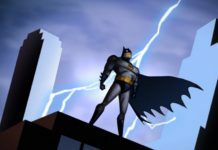 While The Batman is zipping around (literally) all of Gotham in pursuit of the city’s most infamous jewel thief, Catwoman, Bruce Wayne becomes taken with the beautiful Selina Kyle (who actually wins a date with Bruce by bidding $10,000 for him at an animal preserve charity auction). All the while, a new and dangerous threat is moving in on the city, Redclaw. Basically, Part 1 of “The Cat and the Claw” introduces to the BTAS version of Selina Kyle (who – like Michelle Pfeiffer in BATMAN RETURNS – is blonde…on purpose, of course), as well as her kinda bad, but mostly good alter ego, Catwoman. BTAS also plays up the attraction between Batman/Catwoman and Bruce/Selina as has been the case with these two characters since Catwoman’s introduction in 1940. Part 2 of “The Cat and the Claw” is the weakest of the episode. With the Bat vs. Cat stuff finished (for now) in Part 1, the two now team up to take down the villainous Redclaw and stop her (yes, Redclaw is a woman) dastardly plan (releasing a viral plague upon Gotham unless, of course, a ransom isn’t paid). 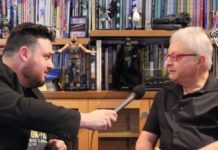 I’m thinking the only reason that Redclaw was a woman was to show the audience that while Catwoman can sometimes be bad, she’s really not a villain – or something like that. 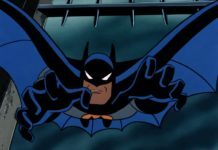 “The Cat and The Claw” isn’t a bad episode of BTAS, but it certainly isn’t one of its best. The Batman/Catwoman and Bruce/Selina thing isn’t anything we haven’t seen before in other Batman mediums – but this is how the relationship should be depicted. And honestly, Part 2 is not as good as Part 1. 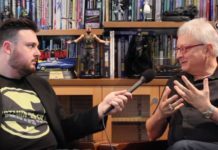 I’m thinking they could’ve simply cut Part 1 out entirely, tweaked Part 1 a bit, and went with it as the complete episode. Also – and I’m well aware that this will come off as a petty quibble – I’m not a fan of a blonde Selina. No, I don’t dislike blondes, I simply prefer Ms. Kyle as a brunette. 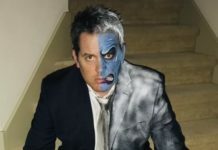 BOF’s Rick Shew is Two Face! B:TAS DELUXE LIMITED EDITION Out Today! 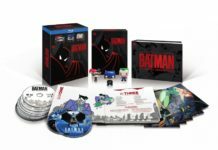 A 70K Run For B:TAS DELUXE LIMITED EDITION Box Set!